INDUSTRY.co.id - Jakarta - Power-Gen Asia 2018 which took place in Jakarta, Indonesia formed a partnership with the Indonesian Electricity Community (MKI) in the 73rd Indonesian National Electricity Day. Siemens participated by exhibiting technologies and systems that provide energy efficiency and cost-effective as well as solutions to support digital transformation in the energy and electricity sector in Indonesia. At the conference, technical experts from Siemens took part as speakers in 17 sessions with a variety of topics ranging from Power Plant Operation Optimization, Power Generation Technology, Digital Twin, Renewable Energy Technology, and Waste Utilization to Energy. To ensure optimal operation and reduce unplanned timetime, Siemens offers a cloud-based remote diagnostic, predictive, and prescriptive health monitoring system for energy, oil and gas, and general industry companies separate from the parent company called Siemens Intelligent Plant Equipment Health Monitoring System (SiEHM). This technology works on Siemens' latest software called Omnivise Fleet Management which turns technical data into actionable information, such as asset diagnostics, performance monitoring, or operational optimization, thus opening up new insights for utilities in managing and marketing all their assets. 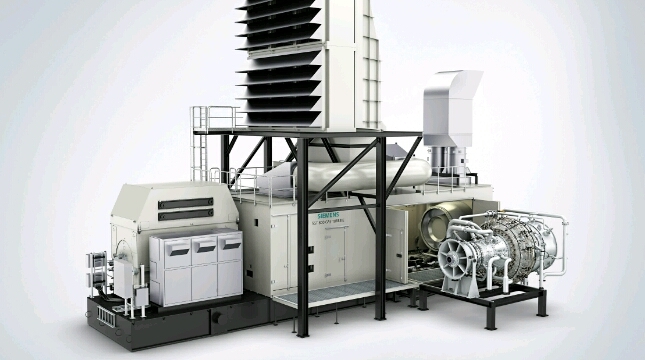 Siemens introduces the SGT-800 industrial gas turbine which is capable of producing 57 megawatts (MW) of electricity and more than 40% electricity efficiency in simple cycle-generation. In the modified cycle modification, it can produce 163 MW of electricity and generate electricity efficiency of more than 58.5%. The substation as the center of the energy system plays an important role in the electricity network and will play a more important role in the electricity network in the future. Siemens offers a holistic approach to digital substation solutions by consistently utilizing all available data, analyzing sophisticated and comprehensive data connectivity through MindSphere - Siemens's cloud-based open operating system for Internet of Things (IoT). The Siemens digital substation contributes to aligning business needs with the needs of the community. Environmentally friendly products from Siemens Blue Portfolio such as circuit breakers, transformer instruments and integrated gas insulated switchgear with vacuum interrupts and Clean-Air insulation. Siemens successfully collaborated with local partners in the Energy and Electricity sector in Indonesia. To strengthen Indonesia's industrial capacity and increase access to international markets, PT Barata Indonesia (Persero) has signed an agreement to take over the Siemens Turbine Component Paik in Cilegon, Banten in August 2018. Previously, PT Barata and Siemens had succeeded in collaborating on power generation projects and manufacturing turbine units for the sugar industry. In April 2018, the state-owned company PT Surveyor Indonesia (Persero) partnered with Siemens to operate and maintain power plants in Indonesia, including manufacturing parts for generators and turbines (gas and steam), inspection and monitoring of generators, and developing human resources.